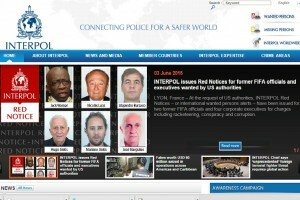 LYON, France – Interpol has issued an international wanted persons alert for Trinidadian Jack Warner and five others who are facing corruption charges related to their roles at FIFA. Interpol announced this morning that it had issued the Red Notices for Warner, a former vice president of football’s world governing body; another former FIFA executive committee member, Nicolás Leoz of Paraguay; and four corporate executives from Argentina and Brazil, at the request of US authorities. A Red Notice is not an international arrest warrant. According to Interpol, the world’s largest international police organization, it is one of the ways member countries are informed that an arrest warrant has been issued for an individual by a judicial authority, and seeks the location and arrest of wanted persons with a view to extradition or similar lawful action. Warner has already appeared in court in Trinidad as the US seeks his extradition to answer the charges of racketeering, bribery, wire fraud and money laundering, and has been released on TT$2.5 million (US$394,601) bail. Leoz, meantime, is under house arrest. Adding that it could not compel any member country to arrest the subject of a Red Notice, Interpol said that only the law enforcement authorities of a member country where an individual is located have the legal authority to make an arrest. The alert was issued less than 24 hours after FIFA president Sepp Blatter, who led football’s governing body for 17 years, announced that he would resign. He was not implicated in the corruption scandal. But the 79-year-old Swiss, who was re-elected to a fifth four-year term just last Friday, said that while FIFA members had given him a new mandate, “this mandate does not seem to be supported by everybody in the world of football”. An extraordinary elective congress is to be convened between December this year and March 2016 to choose Blatter’s successor.